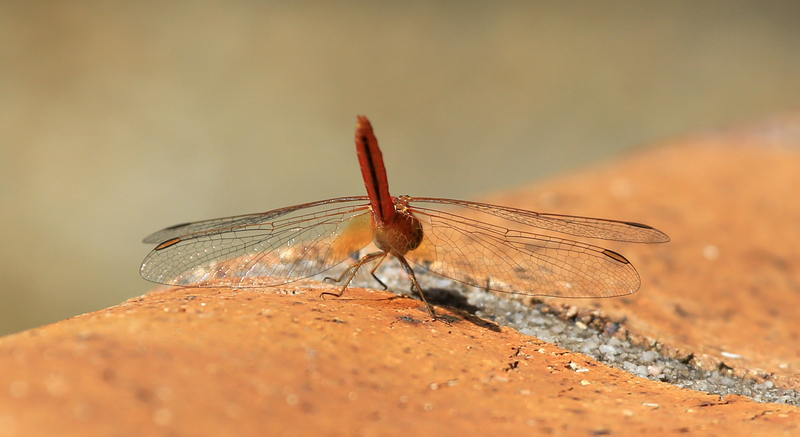 Scarlet Percher (Diplacodes haematodes). I have posted this view for those interested in the wing vein pattern of the hind wing. The Scarlet Percher was positively identified from dorsal and lateral views of the dragonfly.